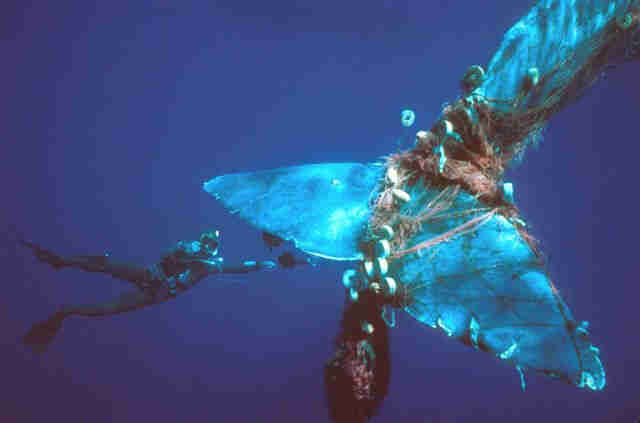 We're filling up our oceans with plastic and other trash, and it's killing our marine animals in gruesome ways. A massive review of hundreds of different studies and reports on ocean wildlife encountering trash uncovered a whopping total of 44,006 documented incidents of plastic trash interacting with animals since 1997. Of these, 80 percent of the time the animal was killed. 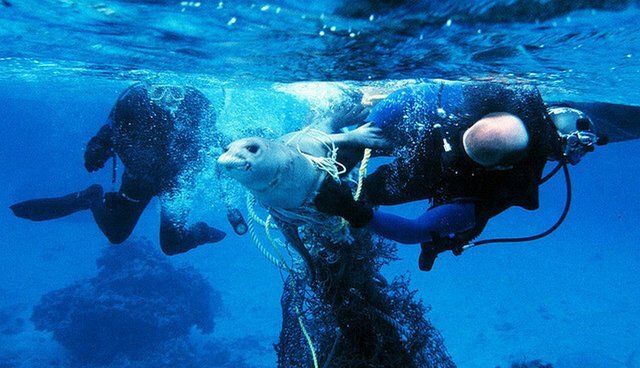 The plastic encounters involved 395 species and included animals who ate plastic bits, were entangled in plastic products or got caught in plastic nets. 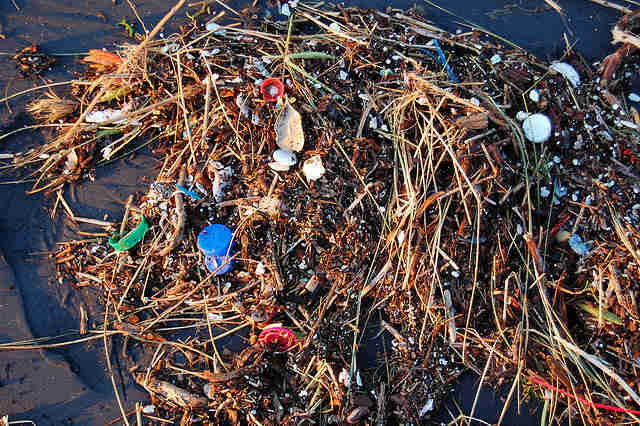 Much of this plastic comes in the form of tiny bits, many too small to see with the human eye. Animals can die from ingesting these confetti-like bits, often called micro-plastics. 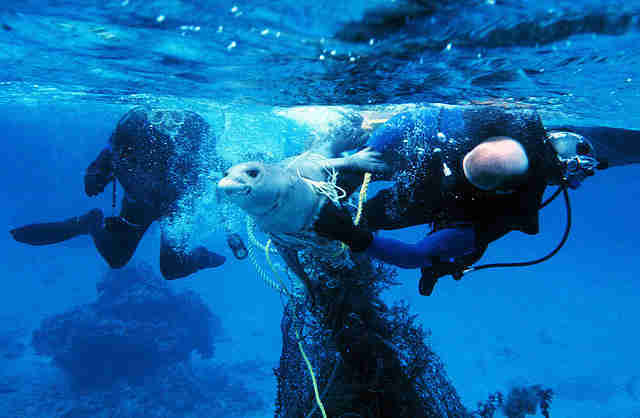 Marine mammals were the garbage victims in most of the reports. Hawaiian monk seals, northern right whales, northern fur seals and and California sea lions were all among the casualties. 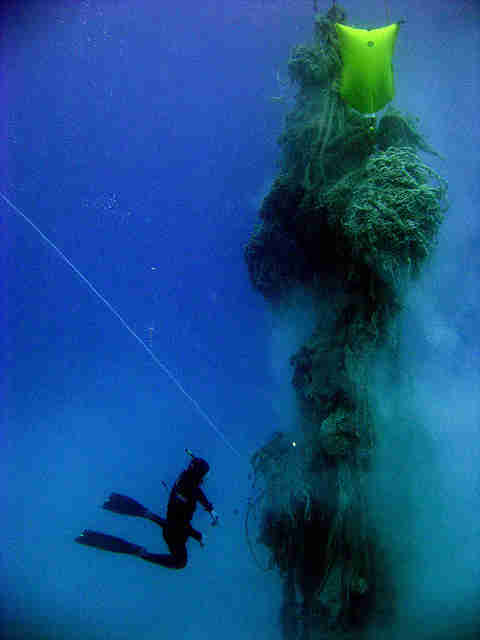 As shown here, they also face major threats from fishing nets and other discarded gear. Critically endangered sea turtles like hawksbill turtles, Kemp's Ridley turtles and leatherback sea turtles were also hit. Birds faced the plastic gauntlet, too: northern fulmars, Atlantic puffins, Laysan albatross and greater shearwaters were all on the list. Sadly, 17 percent of the species suffering from trash encounters were included on the International Union for Conservation of Nature red list of threatened species. 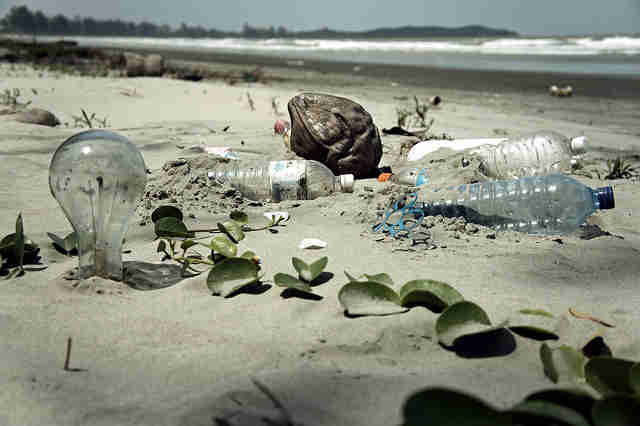 There are ways to help the ocean's animals avoid death by plastic - see this page for more information.